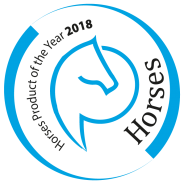 A unique and innovative product for use against, among others, mites, lice and ticks in horses (without insecticides). A patent has been submitted for this unique formula and is therefore exclusively available at De Paardendrogist. The duo-complex of nurturing Aloe Vera and dimethicone immobilizes ticks, fleas and other parasites such as mosquitoes, mites and lice in a purely physical way. 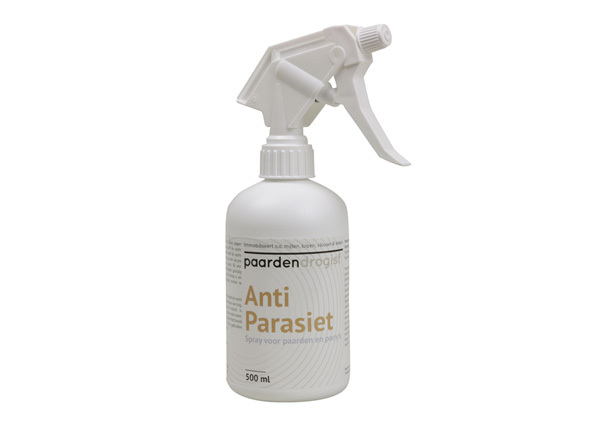 The spray applies a sticking (silicone) layer to the parasites, so that they no longer move and fall out of the coat or can be brushed out. Then it also provides a nurturing effect on the coat for eight to ten days. Unique and effective.